We understand that roofs take the brunt of what the weather has to throw at us, be it strong winds, lashing rain, heavy snows, or bright sunshine. Our staff are fully trained to offer the safest, professional and highest quality service possible. What Roof Cleaning Services do you Offer? Moss, lichen and algae can cause health issues and shouldn’t be left to grow on your roof. Moss and algae build-up is quite common but if it builds up it can damage the structure of the roof and the appearance of roof tiles. All types of roof attract moss, algae and lichen but our experienced roof cleaning teams have the experience to treat each roof dependent on the type of roof and extent of the greening. Guttering is susceptible to getting clogged with leaves and other debris. As part of our full roof cleaning service we ensure all gutters are free of any build up and completely clear. Debris which has become lodged inside the guttering can be quickly and efficiently removed. Roof cleaning not only helps to maintain your property, it can restore the quality of your roof. Our roof cleaning services are thorough and ensure all dirty, foreign objects and debris are removed. We also ensure any moss growth and unseen bacterial build-up is removed, protecting your roof for many years to come. We can also effectively clean commercial canopies, ensuring they look their best for your business. From car sales forecourts to gas stations, a clean canopy has a positive impact on the impression your business makes on its customers. Frost and ice can be extremely damaging to the roof of your property and this can lead to water damage within the building. Protecting against frost heave and ice dams is part of our service so you can avoid the need for ice dam removal, or worse, damp and water damage within the property. Ice dams can form on fully functioning and properly fitted roofs. We can quickly and easily remove ice and snow from the roof and check it thoroughly to ensure the risk of damage is minimized. Using high-powered pressure washers our roof cleaning teams can remove ingrained dirt and debris. Pressure washing allows your roof to be restored to its former glory, returning it to its original finish. Downpipes are the outlet that join the roofline to the gutter and though not a common problem, they do sometimes become blocked in the same way gutters do. Debris, leaves and all kinds of dirt can clog up the downpipes can lead to water overflowing and the risk of water damage. Our trained roof cleaning teams can effectively unblock and thoroughly clear any downpipe of any debris with ease. 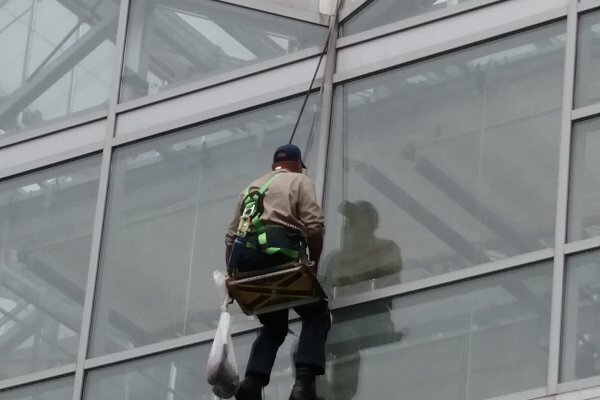 We adhere to all local, state and federal health and safety rules when cleaning commercial roofs. The amount of time taken for each clean varies depending on the size and nature of the job. How Much Should Roof Cleaning Cost? Affordable roof cleaning is still possible while maintaining high levels of safety, employee reward, and quality. Each roof service is unique and Penn Jersey have seen it all over the last four decades. Some roofs are simpler - large flat roofs for example, while others are more complicated. The roof cleaning cost will depend on the type of roof, size of the roof, how high up it is, and the state of cleanliness that it is in. Our Sales Consultants will work with you to produce a unique plan. We are transparent with our cost calculations and are happy to talk you through how we came to the price we did. It is good practice to schedule regular roof cleaning and checking. As explained above, this can fall between major overhauls and minor maintenance cleaning. However, sometimes the unexpected happens and this requires an immediate response. Penn Jersey offer flexible and responsive emergency roof care services at affordable prices. Get in contact with our team so we can draw up a rapid response plan and send a team over to you to return your roof to it’s natural glory.